I use the exact same high quality factories as the more expensive brands. 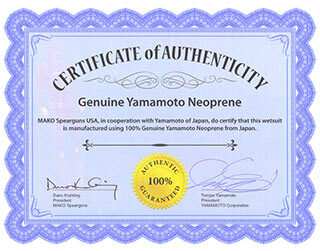 I use only the highest quality 100% Genuine Yamamoto Neoprene direct from Yamamoto of Japan. Yamamoto of Japan neoprene material is regarded as the highest quality wetsuit material in the world. Our wetsuits are certified by Tomizo Yamamoto (President of YAMAMOTO Corporation) and myself (Dano Krahling, President of MAKO Spearguns) to be Genuine YAMAMOTO Neoprene. 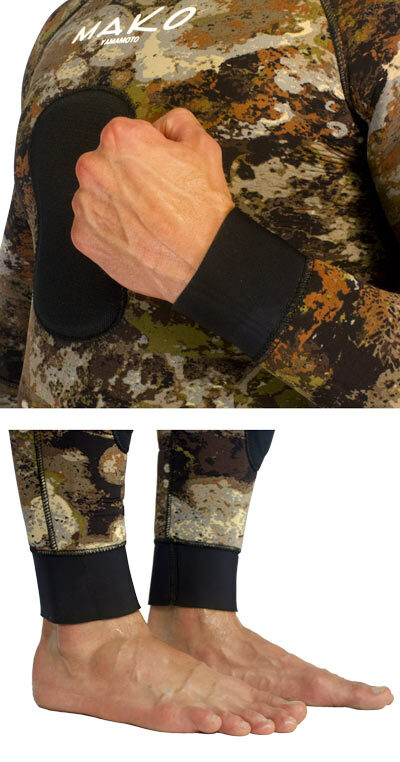 In addition to using the absolute best Yamamoto Neoprene, the Yamamoto outer material offers 30 percent more stretch than any other outer material available. We call it Yamamoto "Mega Stretch" and it takes wetsuit technology to a whole new level. Yamamoto Mega Stretch outer material: The stretchiest material available, proven to increase breath hold times. Selectable Bottoms: High Waist or Farmer Johns - your choice. 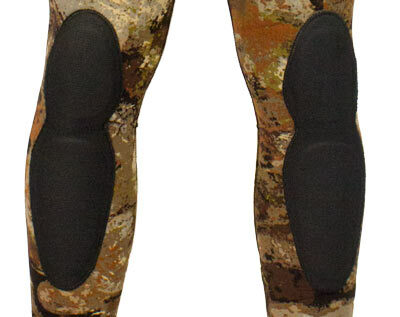 Knee Pads: Real padded material sewn on (not a thin piece of glued on rubber). Chest loading pad: Real padded material sewn on (not a thin piece of glued on rubber). Knife Pocket: This is a huge safety feature that all suits must have! 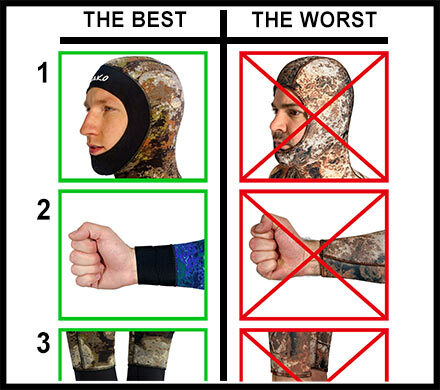 Ergonomic Face Seal: Maximizes comfort and keeps cold water out. 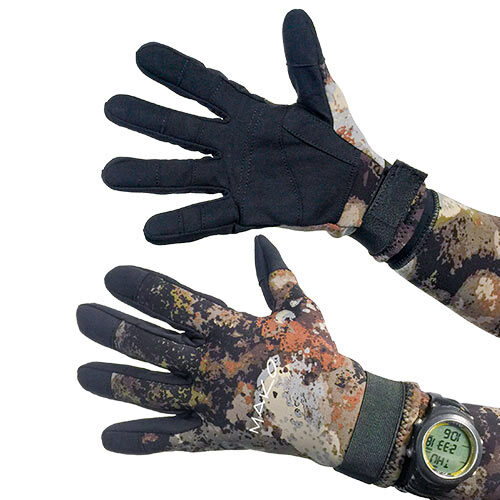 Wrist and Ankle Cuffs: Another added feature that keeps cold water out. High Waist Bottoms or Farmer Johns? You decide. Each suit comes with the Farmer John Bottoms for added warmth. However, if you prefer the High Waist Pants, no problem. We designed the upper seam in the appropriate spot to allow you, the diver to remove the shoulder straps by following (cutting) just above the strategically placed seam for a perfect and professional looking cut that will not fray. But, don't throw away the newly created tank top. You might want to save it for a chilly day. 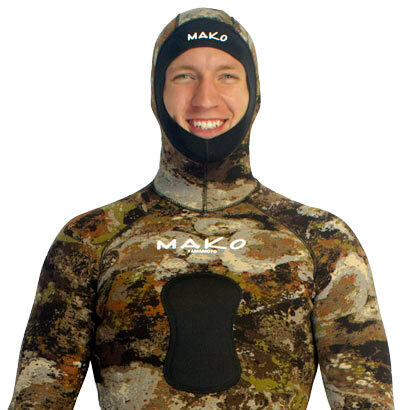 I ordered the 5mm wetsuit, it's very warm especially in cold water. I went on a dive in 35-degree water and everywhere the suit covered I was very warm!! Very well made, first time trying it on, the neck of the suit is very tight but eventually, it'll stretch and fit comfortably. The suit is made of high-quality material and the price fits the budget nicely. This suit fits like a glove! I Got the Medium-Large. I'm 5'8" 165lbs... Couldn't be happier with it. 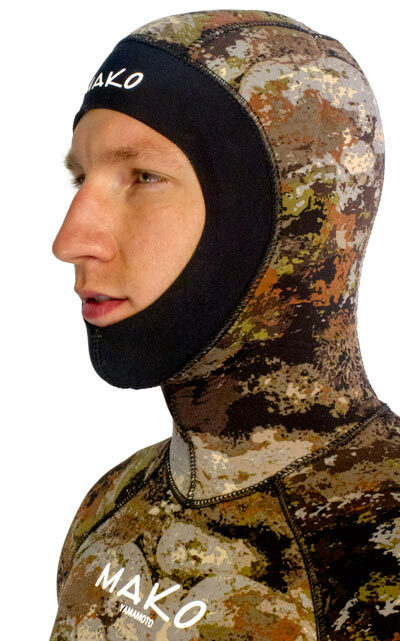 Perfect for winter dives - so warm! I bought the suit. It is well made, but it is too tight in spite of the chart saying it should have been perfect. I tried to make it better by cutting the farmer john, but the neck and head were still too tight and uncomfortable. Not a pleasant dive with this suit. Also, when compared with the neoprene that Elios uses yours is too stiff by comparison. Well, you really can't get a better wetsuit for the money, and the service is superb. I received the suit in two days! My last suit has lasted over 3 years, and I dive a lot! In my ideal world, it would be nice if they made women's wetsuits for tall women, so I would get a better fit than the men's. I love the cut of the men's jacket, long enough to give good coverage, and the double snap is so much more comfortable when getting in over the side of a boat. Big fan of MAKO! I'll continue to recommend them to all my dive friends. Thanks! We buy suits all the time from Mako and I’m always impressed with the quality. I own a dive business in Florida and we have people all over the state that have these suits. We mainly buy the apnea 5 mil and the 7mil Camo suit. You can beat the price and durability. We use them in swimming pools up to 5 times a day. We typically get 2 -3 seasons out of them. I’m sure they would get more, but we enjoy buying and wearing a new clean suit. 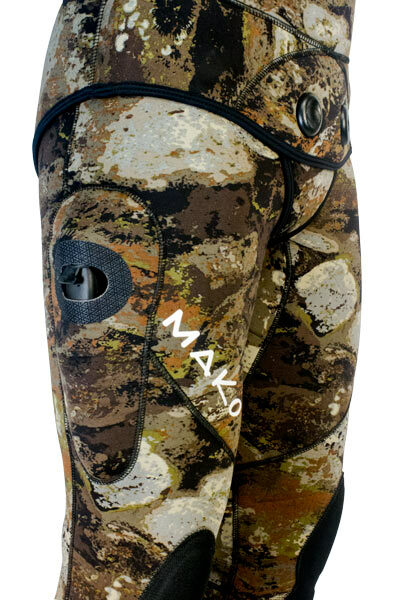 We will continue to support Mako and recommend that you try them for yourself.